Chris Coxon, Head of Marketing, Eurocell. I’m sure I wasn’t the only one to be surprised at the suddenness of the Government’s announcement that it is to scrap the 2016 zero carbon target for homes. The UK Green Building Council must have been equally perplexed – only a month earlier it had launched a task force to look at how zero carbon targets would impact on the non-domestic sector, formerly due to come into play in 2019 and now expected to go the same way as the domestic one. It’s a far cry from ‘Construction 2025’, the joint Government-Industry vision document published just two years ago in July 2013. One of the mainstays of that vision was sustainability and the goal of creating an industry that leads the world in low-carbon and green contracting exports. My biggest concern is not the impact on new build, which accounts for about one percent of housing stock. It is the impact on existing homes. 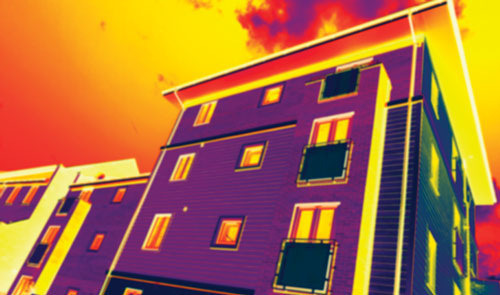 One of the options on the table for the ‘Allowable Solutions’ part of the zero carbon target, where offsite schemes could be used to offset carbon for some developments, was that developers could carry out energy improvement measures on existing buildings. The news that energy efficiency requirements won’t be ramped up in 2016 means that there will be no regulatory incentive to make the improvements to existing stock that are so badly needed. Plus, with Green Deal dead and ECO halved, there is a lack of ‘push’ factors to help drive consumer behaviour. Now, more than ever, it is up to the manufacturing and distribution sectors to make the case for more thermally efficient building products – obviously, in our case, windows and doors. We need to get the message out to consumers that they could be enjoying significantly more comfortable, desirable homes with contemporary systems and paying hundreds of pounds less a year in energy bills, if they make the right choice of products. This will create the demand in both retrofit and new build. The fabric-first argument has already been widely accepted, to minimise the total cost to homeowners; that is, maintenance and running costs, as well as capital cost. So this setback will not stop us from continuing to pursue innovative and cost-effective solutions which make economic and carbon sense over the whole life of a house.